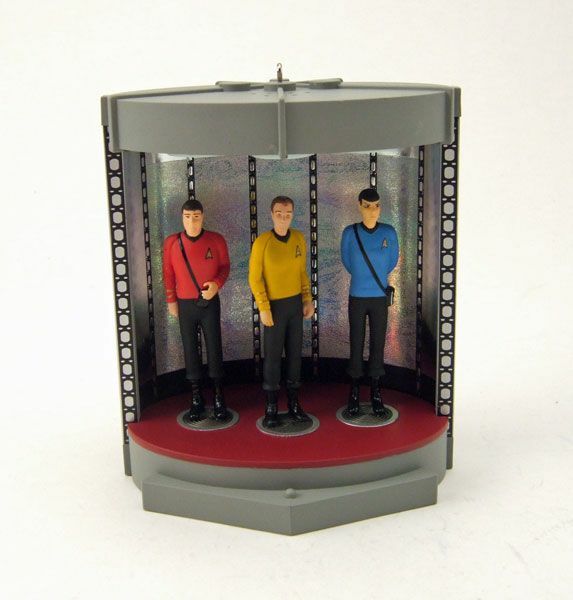 This ornament recreates the famous transporter chamber we all know and love from the original series. 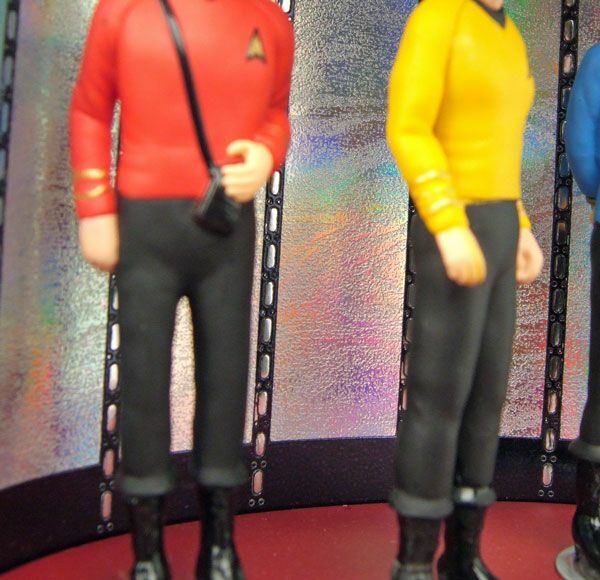 Captured in a moment just before beaming are the intrepid away team consisting of Kirk, Spock, and Scotty. 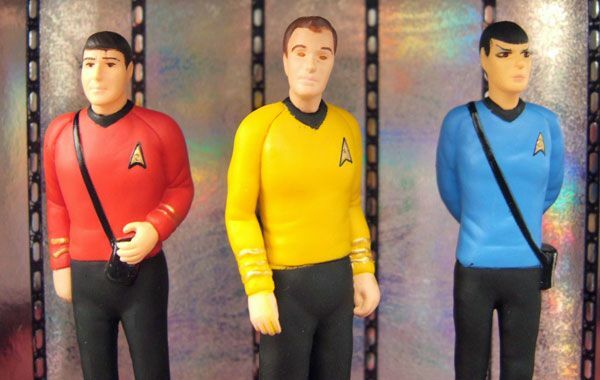 Not really sure why Hallmark went with Scotty instead of the more obvious choice of McCoy, but I'm guessing it was because they wanted to feature all three shirt colors. 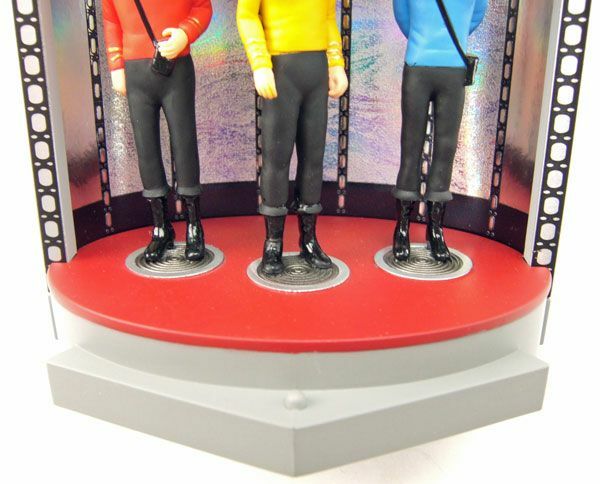 Behind the three figures is the back wall of the transporter chamber. 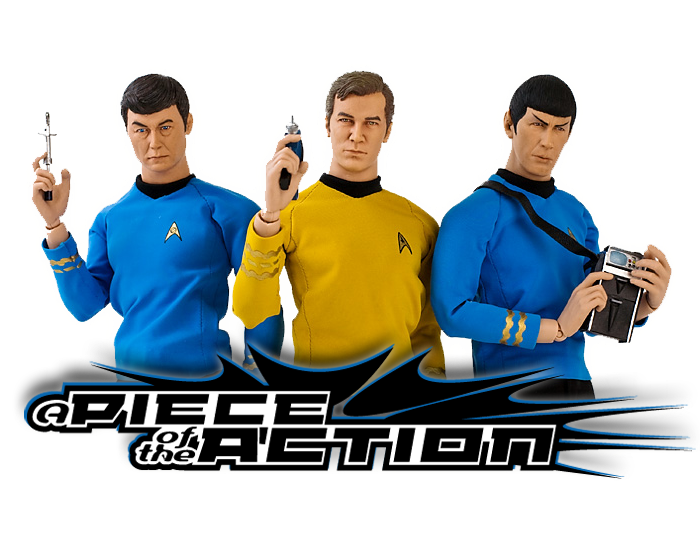 The wall features a nice reflective surface and some etched-in detailing that does a great job of replicating the "rainbowy" look of the series. It's tough to capture how nice this looks on camera, but the whole effect is really well done. 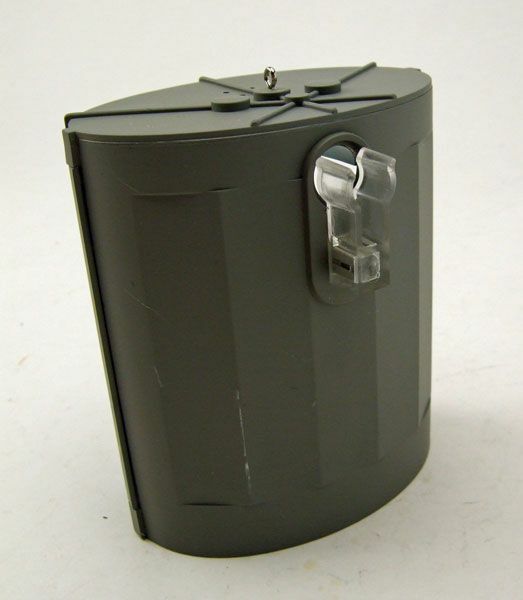 ...hang it on the tree and clip a light into the provided hole in the back! The possibilities are endless! Well... I guess they aren't really endless. There's really just a couple. But they are at least good possibilities! 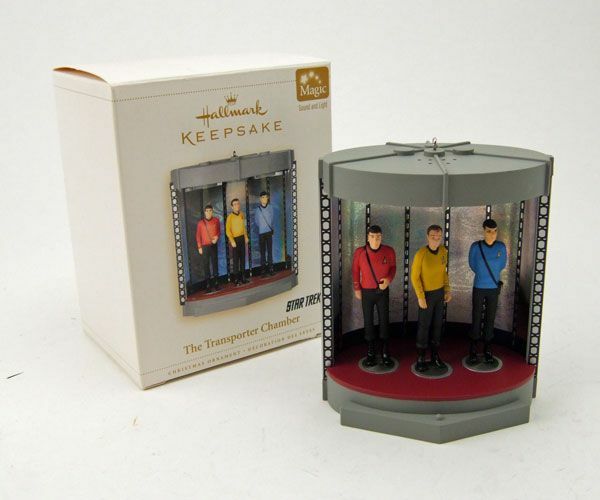 The "Transporter Chamber" is easily one of my favorite Hallmark ornaments. I really have no complaints at all about this one. 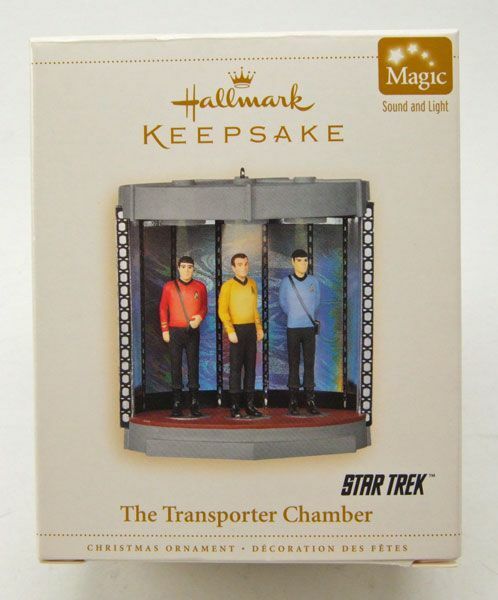 If you're thinking of getting into the Hallmark ornaments, the transporter is a great one to start with. 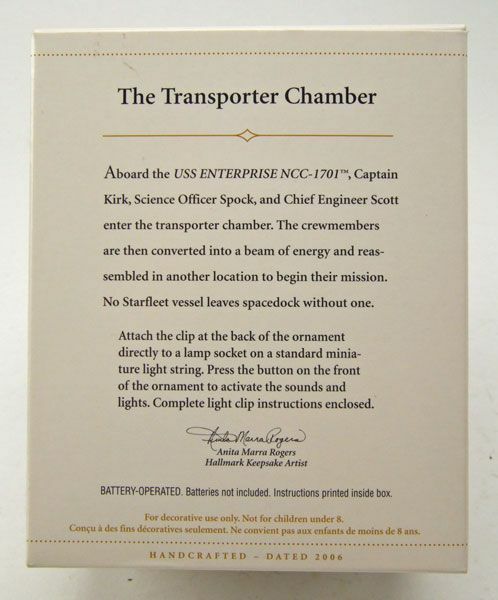 It originally retailed at $28, but now goes for just a smidge over that at around $30-$40. 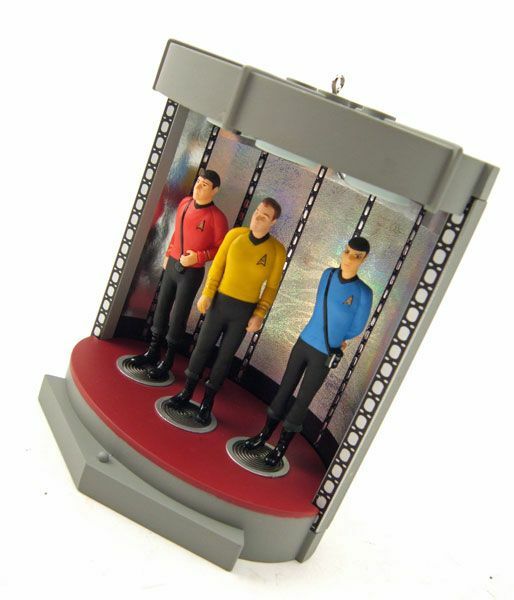 That may seem like a lot, but when compared to the current crop of $30 ornaments, this one really stands out in the pack.